Steven (Chicagoland, United States) on 29 January 2015 in Landscape & Rural and Portfolio. A view looking west down College Avenue in Lake Forest, Illinois. Photo captured October 24, 2010. Wonderful perspective and lovely autumn foliage. A perfect capture of a fall day.... wonderful color & great dof... the avenue seems to go on forever. Beautiful!! Beautiful colors and excellent POV. Lovely fall photo. I like the dip in the road - adds dimensions. 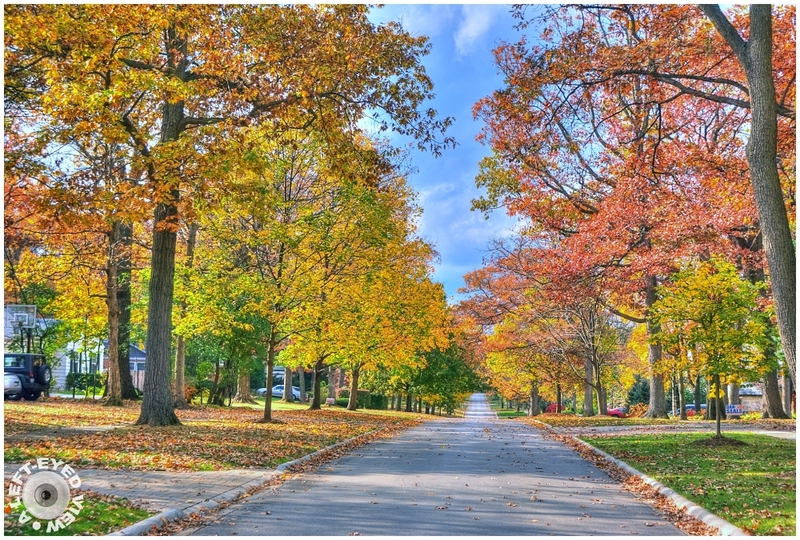 A beautiful autumn-type image of this street. Very well done. Wonderful colors and a superb composition . such beautiful frame, perspective, colors, lighting & shadows! A wonderful perspective beautifully captured ... the colors are amazing !!! A gorgeous fall image! I would love to live on a street like that one! Spectacular color! Quelle belle avenue quelle couleur sur ces arbres superbe. Makes you want to take a leisurely stroll amongst the trees. It is so nice to see that great colour as we are stuck in the winter blahs. A wonderful composition with a beautiful perspective ! Very beautiful perspective in such wonderful colors. What a pleasant place this is. An idyllic Mid-Western scene. Une avenue qui resplendit en automne !